Quilt Size: approximately 77" x 77"
From FigTreeAndCompany.com: I love stars and I love checkerboards and it was time that I put both of those two loves into one classic quilt once again. 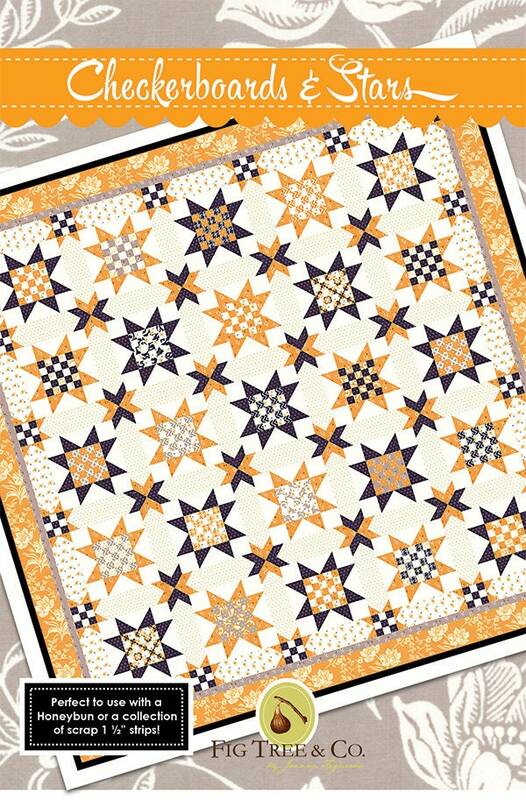 If you have followed us for a long time you might remember that we once had a pattern called Checkerboard Stars that used a similar idea but with large stars and no additional post stars. This version takes advantage of the Halloween theme to its fullest and creates a night of twinkling stars… just in time for trick or treating. At the same time, I do believe that this pattern will look amazing in patriotic… in fact you might want to stay tuned to see if we make up a patriotic version this summer! 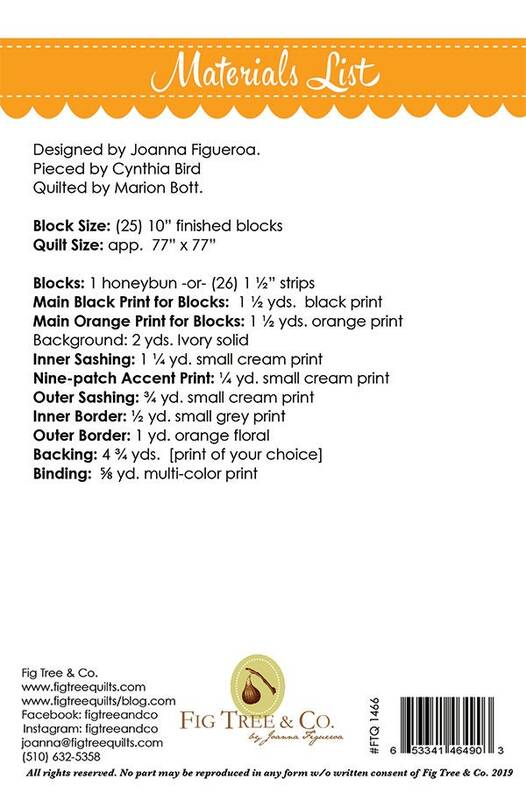 See the second picture for fabric requirements.